Be a part of the movement for empowering women in male-dominated industries. 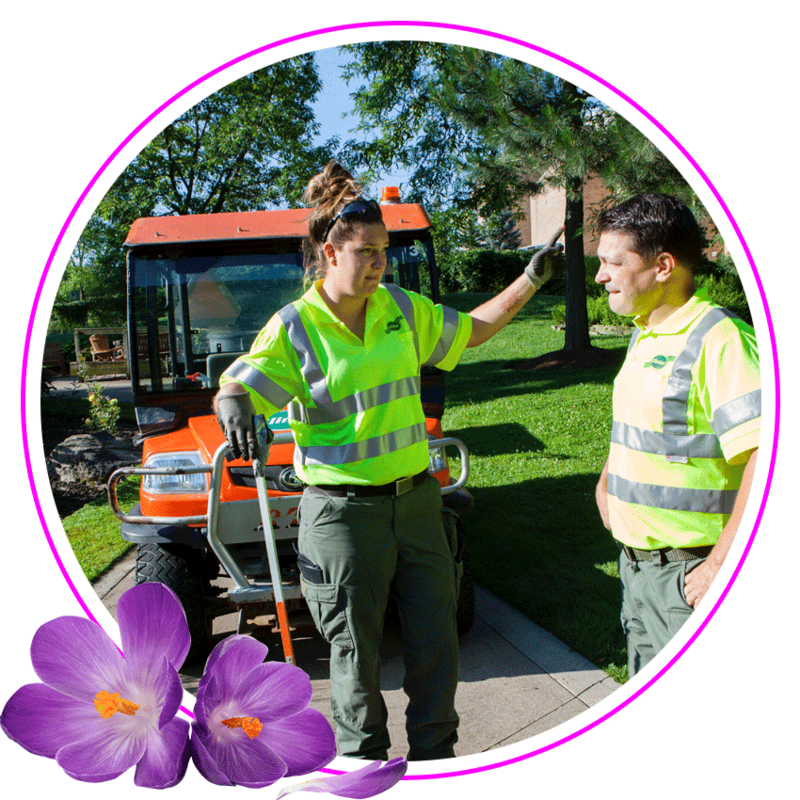 Women of Commercial Landscaping (WCL) was built with the intention of supporting and encouraging women to start and run their own businesses in the commercial landscaping and snow removal world. WCL aims to create a culture of equality by breaking down barriers for women in male-dominated industries. We’re here to educate, help women gain the experiences they need, and feel confident in their decisions to operate and grow within their chosen industries. WCL is its own unique segment sponsored by Clintar Commercial Outdoor Services that aims to create a culture of equality. WCL was created with the initiative of supporting women in male-dominated industries. It was created for every industrial working female in the world; for females who want to be successful in starting and excelling within their own businesses. Our founder, Kimberly Khoury, has spent 20+ years as a high-ranking executive. Over the years, she’s witnessed the development of women taking on various roles. She knew it was time to start supporting and helping other women within her own company and industry achieve the same level of success. Why was the decision to create WCL made? It all started when Kimberly published an article for Women of Influence. She may have gotten to share her own success story, but she knew this wasn’t enough. She wanted to support other women in male-dominated industries. She wanted to empower women to eventually be able to share their own stories about being a part of an award-winning company, or being their very own bosses. This was the focus and motivation for getting WCL off the ground. WCL’s core value is supporting women in growing, learning, and exceling within male-dominated industries. Our primary focus is on the commercial landscaping and outdoor services industries, but we are here to guide women from various industries in owning a business and succeeding in positions where they feel uncertain. Our overall goal is to get women together to network, discuss, and learn from each other and from our global ambassadors. We are here to encourage and facilitate open conversations about how women can excel in their chosen fields. Below you will find a list of our current and future planned events. Female keynote speakers and global ambassadors. Join TSN's Kate Beirness and two-time Olympic gold medalist Cheryl Pounder on the Her Mark Podcast. The inaugural episode of the podcast features Olympic hockey gold and silver medalist Natalie Spooner, and is highlighted by a special guest appearance of multi-platinum award winning recording artist Jann Arden, as well as 12-year NHL veteran Alexi Yashin. Olympic Champion Tessa Virtue joins the podcast to discuss the challenges she’s faces throughout her career and the sacrifices she had to make along the way. Kate and Cheryl share their own social media stories and talk about how they learned to deal with criticism. CTV National News Chief Anchor Lisa LaFlamme discusses her love of podcasts, what made her pursue journalism, what it was like to cover war zones, and how she has always been driven to tell a story. Kate and Cheryl talk about the importance of learning through travel and recount the many adventures they had touring the globe. Four time Olympic Gold Medalist Jayna Hefford joined the podcast to discuss the many steps on her road to the hall of fame, her post playing career life and the challenges she faces as the commissioner of the CWHL. Kate and Cheryl discuss work-life balance from their own personal perspectives. NBA on ESPN/ABC analyst Doris Burke joins the podcast to discuss how she got her start in basketball, the journey that led her to broadcasting and the sacrifices she made to get where she is. Kate and Cheryl share their inspirations growing up and talk about the importance of mentors over idols. It’s our Individual Athlete Episode and it's a gold medal-studded one as we are joined by Olympic champions Rosie MacLennan and Catriona Le May Doan. Kate and Cheryl discuss getting outside their comfort zones and challenging themselves to grow. New York Liberty guard Kia Nurse joins the pod to discuss her path to the WNBA and finding confidence in her game. Kate shares some big news with Cheryl and they discuss the exposure gap between genders in sports. The season 1 finale features a 2-time Olympic Gold medals and the most clutch athlete of all time Marie-Philip Poulin. Kate and Cheryl discuss the importance of knowing your worth and determining your value. The CCO of Clintar, and the force behind the Women of Commercial Landscaping, Kimberly Khoury joins the pod to discuss what lead her to where she is today and the goals behind her initiatives. please do not hesitate to reach out using one of the options below.